And now it amazes me even more that I’m part of the generation that is seeing skyrocketing rates of hip replacements. 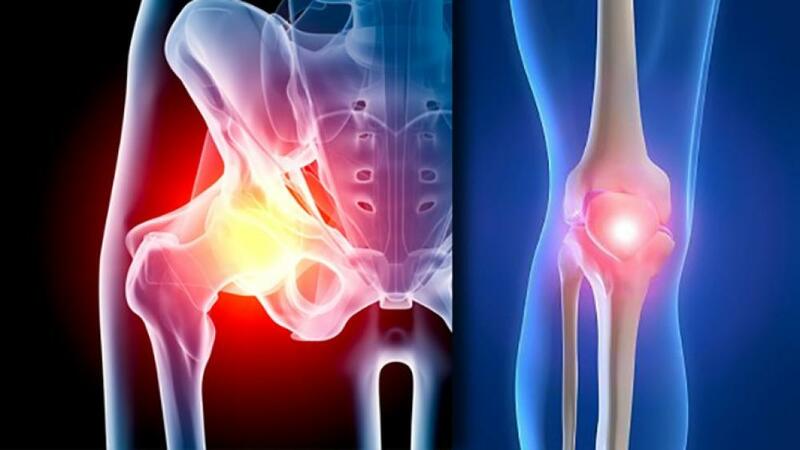 According a recent CDC report, the number of total hip replacements for the 55 to 64 age group tripled from 2000 to 2010. And for those between 45 and 54, the procedures increased a whopping 205 percent from 138,000 to nearly 311,000 a year. You can probably guess why this is: a combination of the larger boomer population and their intolerance for living a sedentary or less active life. As a generation, boomers were and still are very active. Many started playing sports and exercising when they were very young. “We have known for a long time that we are going to be doing many more hip replacements in the United States,” said Dr. Robert Molloy, an orthopedic surgeon at the Cleveland Clinic who is quoted in an article. I’m no stranger to the boom in boomer hip replacements. About a month ago, my husband, Alan, was the lucky recipient of a brand new right hip. And five years ago Â he got his left hip replaced. Years of running had taken its toll on his hips, causing excess wear and tear and deterioration, leading to osteoarthritis in both joints. We’re becoming a nation of bum knees, worn-out hips and sore shoulders, and it’s not just the Medicare set. Baby boomer bones and joints also are taking a pounding, spawning a boom in operations to fix them. Knee replacement surgeries have doubled over the last decade and more than tripled in the 45-to-64 age group, new research shows. Hips are trending that way, too. And here’s a surprise: It’s not all due to obesity. Ironically, trying to stay fit and avoid extra pounds is taking a toll on a generation that expects bad joints can be swapped out like old tires on a car. “Boomeritis” or “fix-me-itis” is what Dr. Nicholas Di Nubile, a suburban Philadelphia surgeon, calls it. “It’s this mindset of ‘fix me at any cost, turn back the clock,”‘ said Di Nubile, an adviser to several pro athletic groups and a spokesman for the American Academy of Orthopaedic Surgeons. “The boomers are the first generation trying to stay active in droves on an aging frame” and are less willing to use a cane or put up with pain or stiffness as their grandparents did, he said. A huge industry says they don’t have to. TV ads show people water skiing with new hips. Ads tout “the athletic knee,” “the custom knee,” “the male knee,” “the female knee.” Tennis great Billie Jean King, 67, is promoting the “30-year” Smith & Nephew knees she got last year. Joint replacements have enabled millions of people like King to lead better lives, and surgeons are increasingly comfortable offering them to younger people. But here’s the rub: No one really knows how well these implants will perform in the active baby boomers getting them now. Most studies were done in older folks whose expectations were to be able to go watch a grandchild’s soccer game not play the sport themselves, as one researcher put it. Even the studies presented at a recent orthopedics conference that found knee replacements are lasting 20 years come with the caveat that this is in older people who were not stressing their new joints by running marathons, skiing or playing tennis. Besides the usual risks of surgery infection, blood clots, anesthesia problems replacing joints in younger people increases the odds they’ll need future operations when these wear out, specialists say. “We think very carefully about patients under 50”and talk many of them out of replacing joints, said Dr. William Robb, orthopedics chief at NorthShore University HealthSystem in suburban Chicago. —a Havertown, Pa., nurse who played a slew of sports since childhood, had both knees replaced last year when she was 54. “I just felt like I was too young and too active to be in pain all the time,” she explained. People are urged to exercise because it’s so important for health, but there are “too many wannabes” who overdo it by trying to imitate elite athletes, said Dr. Norman Schachar, a surgeon and assistant dean at the University of Calgary in Alberta, Canada. “They think if they’ve got a sore knee they’re entitled to having it replaced,” he said. “I think surgeons are overdoing it too, to try to meet that expectation.” Dr. Ronald Hillock, an orthopedic surgeon in a large practice in Las Vegas that does about 4,000 joint replacements a year, sees the demand from patients. “People come in and say ‘this is what I want, this is what I need,”‘ he said. “They could buy a cane or wear a brace,” but most want a surgical fix. The numbers tell the story. There were 288,471 total hip replacements in 2009, nearly half of them in people under 65, according to the federal Agency for Healthcare Research and Quality, which tracks hospitalizations. Knee replacements soared from 264,311 in 1997 to 621,029 in 2009, and more than tripled in the 45-to-64-year-old age group. “Five or 10 years ago, a very small number of people under 65 were receiving this surgery. Now we see more and more younger people getting it,” said Elena Losina, co-director of the Orthopaedic and Arthritis Center for Outcomes Research at Brigham and Women’s Hospital in Boston. She analyzed how much of this rise was due to population growth and obesity, and presented results at an orthopedic meeting in San Diego in February. From 1997 to 2007, the population of 45- to 64-year-olds grew by 36 percent, but knee replacements in this group more than tripled. Obesity rates didn’t rise enough to explain the trend. “At most, 23 percent of the 10-year growth in total knee replacement can be explained by increasing obesity and population size,” Losina said. “This is a very successful operation. The only caveat is, all the successes have been seen in the older population,” who usually put less stress on their new joints than younger folks who want to return to sports. “It’s unclear whether the artificial joint is designed to withstand this higher activity,” she said. If you have a good result from a joint replacement, don’t spoil it by overdoing the activity afterward, experts warn. Better yet, try to prevent the need for one. “Being active is the closest thing to the fountain of youth,” but most people need to modify their exercise habits because they’re overdoing one sport, not stretching, or doing something else that puts their joints at risk, said Di Nubile, the “boomeritis” doctor. After a two-day stay, Alan (and his cane) came home from the hospital with lots of instructions and precautions. I removed our throw rugs to eliminate the danger of slipping, installed a shower grab bar and lined up the various medications for easy access. Recovering from hip replacement surgery is not straightforward; there are bumps and setbacks along the way, as there are with many surgeries. One day, you’re feeling hopeful that the pain you felt yesterday has finally let up. Then, you awake the next day in worse pain than two previous days. You sleep through the night one night; then barely sleep the following evening because of intermittent, throbbing pain throughout the night. It’s easy to get discouraged, depressed and disappointed, and even to question your decision to have the surgery. It’s also easy to feel like the cycle of pain will never end and that you’ve made a big mistake and will be living in chronic pain for the rest of your life. My husband has been through all of these cycles. In fact, almost a month out, there are still restrictions, frustrations and pain. But the good news is that those are becoming less frequent, as are the naps and sleepless nights. And when we went on a slower-than-usual two-mile walk this morning, I could feel his optimism returning. In fact, he’s already talking about taking part in a half-marathon in January of 2017.